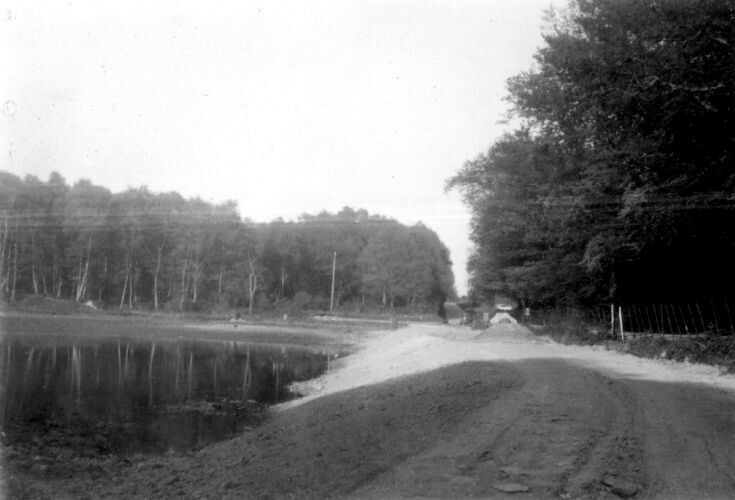 In 1956 it was felt necessary to put in a new road along the southern edge of the Slaugham Furnace Pond on top of the dam. The new road was only about 135 yards long but it was complicated significantly by the requirement that the level of the water had to be temporarily reduced. The picture shows the work well advanced and the water level much lower than normal. Select Open Document to view a more general picture of the northern half of the pond with vast areas of mud exposed due to the water level being lowered.